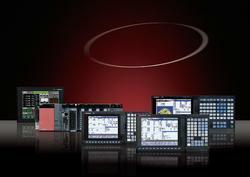 Manufacturer & Supplier of CNC Machine Control Panel. Our product range also comprises of CNC Controller and Servo System. We are a prominent organization that is engaged in offering CNC Machine Control Panel. High quality components are used to manufacture the offered panels keeping in mind clients’ demands. The offered product provides commendable functionality, superior resistance to corrosion, high strength and longer lifespan.